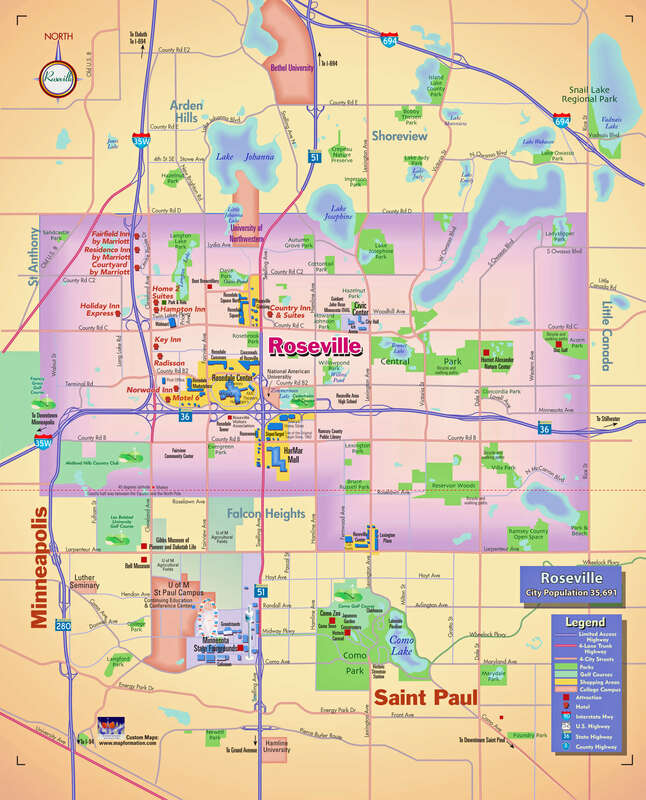 Whether you’re arriving by car, train or plane, Roseville’s central location in the Minneapolis and Saint Paul area puts you in the center of the excitement. Use our maps and directions to help plan your next trip to the Twin Cities. Terminal 1 – Lindbergh at the Minneapolis Saint Paul International Airport you will find Air Canada, Air Choice One, Air France, Alaska Airlines, American Airlines, Boutique Air, Delta Air Lines, Frontier Airlines, Spirit Airlines, and United Airlines. Terminal 2 – Humphrey at the Minneapolis Saint Paul International Airport you will find Condor, Icelandair, Southwest Airlines, and Sun Country Airlines. Easily rent a car with Enterprise when you’re visiting Roseville. Metro Transit is the primary public transportation operator in the Minneapolis and Saint Paul area. Roseville Midway Ford has cars, vans, trucks, SUVs and trailers available to rent. Their rental fleet includes the Ford Taurus, Fusion, Focus, Flex, F-150, Expedition, Transit Cargo Van, 8 Passenger Van, 12 Passenger Van, 15 Passenger Van and Shuttle Bus that seats 15. 24 hour drop off is available. Reserve an airport shuttle or black car to and from Minneapolis Saint Paul International Airport or around town! Their service is more convenient than lugging bags through public transit or driving and parking at the airport, with prices that are generally more economical than a taxi or limo.